Found as a large sized, cool to cold growing terrestrial to lithophyte in Minas Gerais Brazil at elevations around 1000 meters where it blooms in the fall in situ. CAUTION I have made this determination by elimination and not by the fact that I could examine a drawing or other evidence. 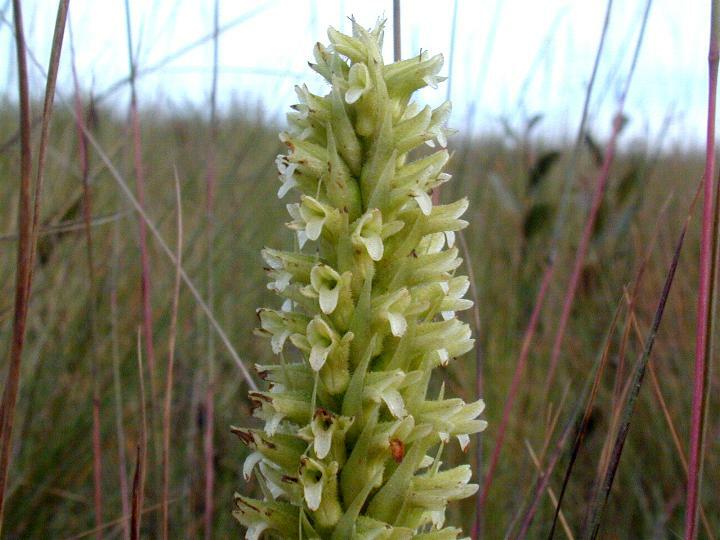 I am using Orquideas da Chapada Diamantina Brito & Cribb 2005 as a reference and they state that there are only 2 species from the Chapada region and one is S congestiflora that has orange flowers and S latipetala which has green flowers with a white lip which fits the species above. There is no drawing of S latipetala in this reference. I took the photo myself and can say it was in the rupicolus area of Minas near to Ouro Preto that I encountered this orchid. 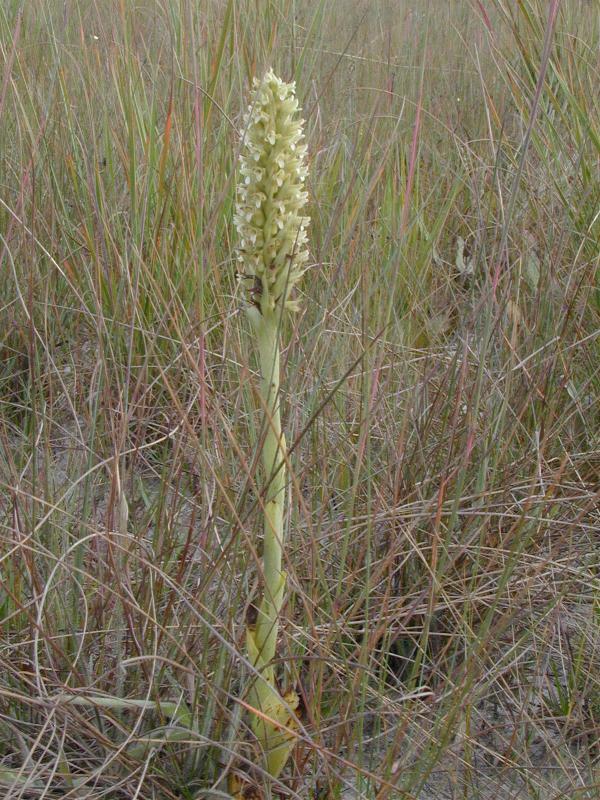 It was at least 4 feet [125 cm] tall and the width of the Inflorescence was at least 5". 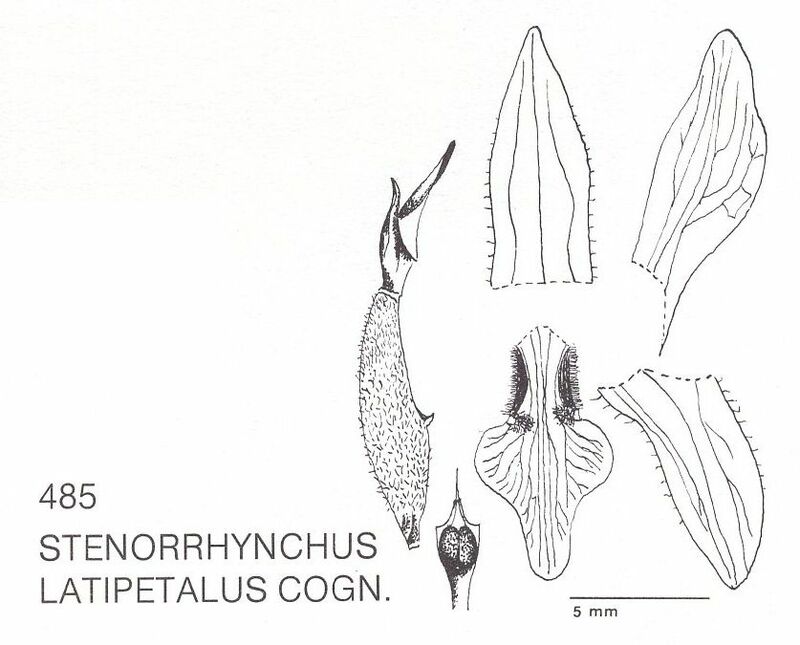 Kew lists another Skeptrostachys for Minas Gerais, S stenorrhynchoides so Please use this determination with caution!